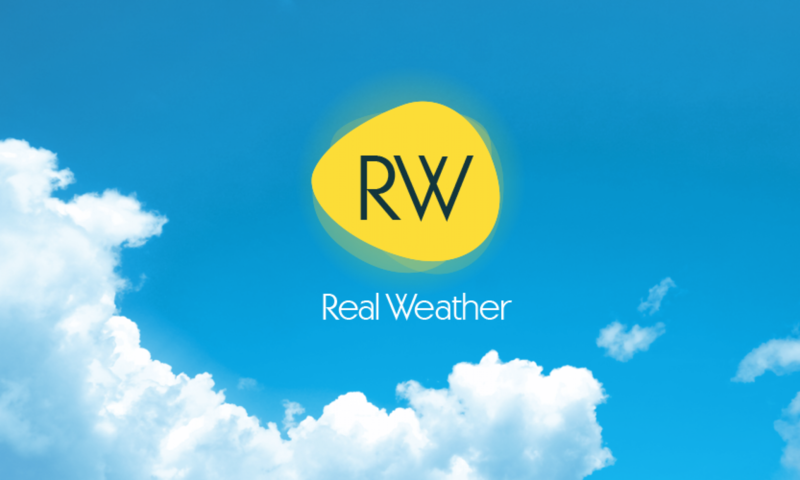 BY DOWNLOADING, INSTALLING OR USING RealWeather YOU AGREE WITH THE TERMS FOR USE OF RealWeather SOFTWARE. General Terms. TECHNOINVEST GROUP AD (LICENSOR) IS WILLING TO LICENSE THIS SOFTWARE TO YOU ONLY UPON THE CONDITION THAT YOU ACCEPT AND FOLLOW ALL OF THE TERMS CONTAINED IN THIS END USER LICENSE AGREEMENT PLUS ANY ADDITIONAL LIMITATIONS ON THE LICENSE SET FORTH IN A SUPPLEMENTAL LICENSE AGREEMENT ACCOMPANYING THE PRODUCT (COLLECTIVELY THE AGREEMENT). TO THE EXTENT OF ANY CONFLICT BETWEEN THE TERMS OF THIS END USER LICENSE AGREEMENT AND ANY SUPPLEMENTAL LICENSE AGREEMENT, THE SUPPLEMENTAL LICENSE AGREEMENT SHALL APPLY. BY DOWNLOADING, INSTALLING, OR USING THE SOFTWARE, YOU ARE REPRESENTING THAT YOU ARE BINDING YOURSELF TO THE AGREEMENT. For purposes of the Agreement, Software shall mean RealWeather, as provided to Customer by an Approved Source or downloaded from www.realweather.eu, and any upgrades, updates, bug fixes or modified versions thereto (collectively, Upgrades), any of the same which has been relicensed or backup copies of any of the foregoing. License. Conditioned upon compliance with the terms and conditions of the Agreement, Consumer is granted with a perpetual, nonexclusive and nontransferable license to use for Customer’s own personal purposes the Software and the Documentation which Customer has received from an Approved Source or downloaded from www.realweather.eu. Documentation means written information (whether contained in user or technical manuals, training materials, specifications or otherwise) pertaining to the Software and made available with the Software in any manner. Any third party products contained in or provided with the Software may only be used as part of the Software. The license permits the Customer the use of the Software in its entirety, with data access limited to data created or used by the Software. Unless otherwise expressly provided in the Documentation or any applicable Supplemental License Agreement, Customer shall use the Software for Customer’s own personal purposes. No other licenses are granted by implication, estoppel or otherwise. (ii) make error corrections to or otherwise modify, translate, process, arrange, adapt or otherwise rework the Software or create derivative works based upon the Software (or permit third parties to do the same) as well as to reproduce the results achieved from any of these acts. (v) disclose, provide, or otherwise make available trade secrets contained within the Software and Documentation in any form to any third party without the prior written consent of LICENSOR. Customer shall implement reasonable security measures to protect such trade secrets. Term and Termination. The Agreement and the license granted herein shall remain effective until terminated. Customer may terminate the Agreement and the license at any time by destroying all copies of Software and any Documentation. Customer’s rights under the Agreement will terminate immediately without notice from LICENSOR if Customer fails to comply with any provision of the Agreement. Upon termination, Customer shall destroy all copies of Software and Documentation in its possession or control. All confidentiality obligations of Customer, all restrictions and limitations imposed on the Customer under the section titled “General Limitations” and all limitations of liability and disclaimers and restrictions of warranty shall survive termination of this Agreement. Export, Re-Export, Transfer and Use Controls. The Software, Documentation and technology or direct products thereof (hereafter referred to as Software and Technology), supplied by LICENSOR and/or Approved Source under the Agreement may be subject to export controls under various countries’ laws and regulations. Customer shall comply with such laws and regulations governing export, re-export, transfer and use of LICENSOR Software and Technology and will obtain all required local authorizations, permits, or licenses. LICENSOR shall not be required directly to provide any documents or assistance in this regard. Identified Components; Additional Terms. The Software may contain or be delivered with one or more components, which may include third-party components, identified by LICENSOR in the Documentation, third-party click-accept or elsewhere (e.g. on LICENSOR’s website) (the Identified Component(s)) as being subject to different license agreement terms, disclaimers of warranties, limited warranties or other terms and conditions (collectively, Additional Terms) than those set forth herein. You agree to the applicable Additional Terms for any such Identified Component(s). Warranty and Warranty Restrictions. In no event does LICENSOR warrant that the Software is error free or that Customer will be able to operate the Software without problems or interruptions. In addition, due to the continual development of new techniques for intruding upon and attacking networks, LICENSOR does not warrant that the Software or any equipment, system or network on which the Software is used will be free of vulnerability to intrusion or attack. Any warranty provided (if such), expressly or by the virtue of the law, does not apply if the Software (a) has been altered, except by LICENSOR or its authorized representative, (b) has not been installed, operated, repaired, or maintained in accordance with instructions supplied by LICENSOR, (c) has been subjected to abnormal physical or electrical stress, abnormal environmental conditions, misuse, negligence, or accident; or (d) is licensed for beta, evaluation, testing or demonstration purposes. The Software warranty also does not apply to (e) any temporary Software modules; (f) any Software for which an Approved Source does not receive a support fee; and (g) Software supplied by any third party which is not an Approved Source. ALL EXPRESS OR IMPLIED CONDITIONS, REPRESENTATIONS, AND WARRANTIES INCLUDING, WITHOUT LIMITATION, ANY IMPLIED WARRANTY OR CONDITION OF MERCHANTABILITY, FITNESS FOR A PARTICULAR PURPOSE, NON-INFRINGEMENT, SATISFACTORY QUALITY, NON-INTERFERENCE, ACCURACY OF INFORMATIONAL CONTENT, OR ARISING FROM A COURSE OF DEALING, LAW, USAGE, OR TRADE PRACTICE, ARE HEREBY EXCLUDED TO THE EXTENT ALLOWED BY APPLICABLE LAW AND ARE EXPRESSLY DISCLAIMED BY LICENSOR, ITS SUPPLIERS AND LICENSORS. TO THE EXTENT THAT ANY OF THE SAME CANNOT BE EXCLUDED, SUCH IMPLIED CONDITION, REPRESENTATION AND/OR WARRANTY IS LIMITED IN DURATION TO THE MANDATORY PERIODS PROVIDED BY THE LAW. Disclaimer of Liabilities – Limitation of Liability. ALL LIABILITY OF LICENSOR, ITS AFFILIATES, OFFICERS, DIRECTORS, EMPLOYEES, AGENTS, SUPPLIERS AND LICENSORS COLLECTIVELY, TO CUSTOMER, WHETHER IN CONTRACT, TORT (INCLUDING NEGLIGENCE), BREACH OF WARRANTY OR OTHERWISE, SHALL NOT EXCEED THE PRICE PAID BY CUSTOMER TO ANY APPROVED SOURCE OR LICENSOR FOR THE SOFTWARE THAT GAVE RISE TO THE CLAIM THIS LIMITATION OF LIABILITY FOR SOFTWARE IS CUMULATIVE AND NOT PER INCIDENT (I.E. THE EXISTENCE OF TWO OR MORE CLAIMS WILL NOT ENLARGE THIS LIMIT). Disclaimer of Liabilities – Waiver of Consequential Damages and Other Losses. IN NO EVENT WILL LICENSOR, ITS AFFILIATES, OFFICERS, DIRECTORS, EMPLOYEES, AGENTS, SUPPLIERS AND LICENSORS, BE LIABLE FOR ANY LOST REVENUE, LOST PROFIT, OR LOST OR DAMAGED DATA, BUSINESS INTERRUPTION, LOSS OF CAPITAL, OR FOR SPECIAL, INDIRECT, CONSEQUENTIAL, INCIDENTAL, OR PUNITIVE DAMAGES, HOWSOEVER ARISING, INCLUDING, WITHOUT LIMITATION, IN CONTRACT, TORT (INCLUDING NEGLIGENCE) OR WHETHER ARISING OUT OF THE USE OF OR INABILITY TO USE THE SOFTWARE, EVEN IF, IN EACH CASE, LICENSOR, ITS AFFILIATES, OFFICERS, DIRECTORS, EMPLOYEES, AGENTS, SUPPLIERS AND LICENSORS, HAVE BEEN ADVISED OF THE POSSIBILITY OF SUCH DAMAGES. Customer acknowledges and agrees that LICENSOR/Approved Source has set its prices and entered into the Agreement in reliance upon the disclaimers of warranty and the limitations of liability set forth herein, that the same reflect an allocation of risk between the parties (including the risk that a contract remedy may fail of its essential purpose and cause consequential loss), and that the same form an essential basis of the bargain between the parties. Controlling Law, Jurisdiction. The Agreement and warranties (Warranties) are controlled by and construed under the laws of the Republic of Bulgaria, notwithstanding any conflicts of law provisions. All disputes, arising from the Agreement or Warranties or related to them, including those arising from or concerning their interpretation, invalidity, performance or termination, as well as the disputes for filling gaps in the Agreement or its adaptation to newly established facts, shall be referred for resolution to the Court of Arbitration at the European Judicial Chamber, Sofia, Republic of Bulgaria, in compliance with its Rules for Litigations, based on arbitration agreements. In case as of the date of bringing a dispute to the Court of Arbitration under the previous sentence, the said court does not exist anymore, all disputes shall be referred for resolution to the competent Bulgarian court in Sofia city, the Republic of Bulgaria. The parties specifically disclaim the application of the UN Convention on Contracts for the International Sale of Goods. Notwithstanding the foregoing, LICENSOR may seek interim injunctive relief in any court of appropriate jurisdiction with respect to any alleged breach of LICENSOR’s intellectual property or proprietary rights. If any portion hereof is found to be void or unenforceable, the remaining provisions of the Agreement and Warranties shall remain in full force and effect. Except as expressly provided herein, the Agreement constitutes the entire agreement between the parties with respect to the license of the Software and Documentation and supersedes any conflicting or additional terms contained in any Purchase Order or elsewhere, all of which terms are excluded. The Agreement has been written in the English language, and the parties agree that the English version will govern. Additional information is available at the following URL: http://www.realweather.eu/. Personal data. Customer entitles LICENSOR to process personal data of the Customer and to process personal data on behalf of Customer when providing any maintenance/support services with respect to the Software (if such). LICENSOR shall ensure that any such personal data will be used/processed only with respect to the relevant services performed.